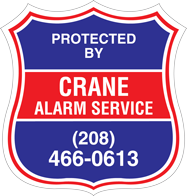 The Windows®-based Blackjack Cube™ is an enterprise-class NVR Powered by DW Spectrum™ IPVMS. 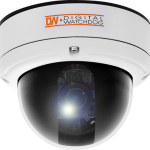 The NVR records and manages up to 64 IP cameras with a total throughput of 360 Mbps. The hardware supports true HD local output via HD and DVI-D/DVI-I ports and features an Intel® I5 Processor, Dual Network Cards and Scheduled Auto Reboot for hardware performance. The Blackjack Cube NVR supports cross platform connectivity for Windows® and Mac® client software, allowing you to monitor and connect to your system from anywhere via the Internet. 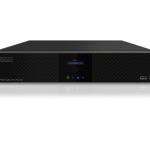 The NVR is ONVIF Profile S conformant, is available with 3-18TB HDD for true Enterprise Scalability. The MEGAPIX™ IP cameras provide real-time 2.1MP (1080P) resolution with features such as 3D DNR, WDR and Smart IR, delivering superb image in any environment. And PoE simplifies installation, connecting power and network through a single cable. All cameras are OnVIF compliant, guaranteeing successful integration with any open platform solution. 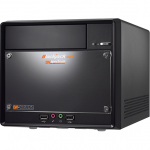 The Blackjack E-Rack is a powerful and user-friendly video management recording solution, highly optimized to provide unlimited scalability, unmatched bandwidth savings and simplified system setup and management. The robust architecture offers complete security and control over recorded data with features such as RAID5, Redundant Power Supply, Hot-Swappable HDD bays, and fastest system boot-up with SSD for OS. 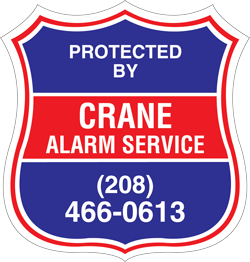 The E-Rack is custom made in our California facilities based on your project requirements and needs. 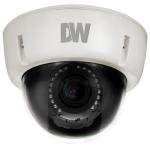 All Blackjack servers are powered by DW Spectrum IPVMS for the most user-friendly, simple, yet powerful security solution. The Blackjack E-Rack comes in four (4) models with different storage options from 16TB to 144TB. The VMAXHD Flex is a digital video recorder that offers real-time recording 1080p (1920X1080) at 60fps. The VMAXHD allows customers to use existing coaxial cable infrastructure while providing an unparalleled image quality. In addition, the VMAXHD Flex offers a clean front panel design with no buttons for an affordable solution. 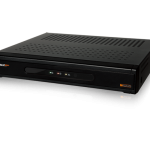 The VMAXHD is available in 4 channels and comes equipped with 1, 2, 3, or 6 Terabytes of storage. The STAR-LIGHT™ MPA cameras are groundbreaking analog cameras that deliver up to 800TVL resolution thanks to their 1.3MP CMOS sensor. 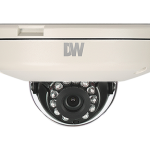 These cameras offer powerful features such as STAR-LIGHT™ super low light technology, CleanView™ self-cleaning dome technology, WDR, true day/night, QuickZoom™ technology without pixilation and De-Fog™ enhancement for extreme weather conditions. The VMAXFlex is a replicate of our Maximum Value, Maximum Performance VMAX480 without the front panel buttons for a more flexible cost. The VMAXFlex is available in 4, 8 and 16 channel configurations with basic storage from 500 gigabytes to 6 terabytes. It has all the functions of the VMAX480 and can easily be controlled with your included USB mouse or IR Remote Control.